We’ve seen the Nephalem in action, and it is impressive — the Prime Evils united in the form of Diablo could not stand against her, and neither could a self-proclaimed Angel of Death wielding their power in addition to his own. Demons, rogue angels, the walking dead: all have fallen before the nephalem’s relentless onslaught. At the end of Reaper of Souls even Tyrael, who has often served as the advocate both of humanity and of the nephalem proper, is shocked by what he witnesses in the clash between Malthael and the formerly mortal hero. Here is a force that can transcend its origins — born a fragile human, and still a mortal being with a birth and death ordained before it (or so it seems), the nephalem managed to defeat the most powerful entities Heaven and Hell had to offer. Witnessing this moment of triumph and the end of Malthael’s plan to eliminate humanity. Tyrael is sobered by the realization that it may be possible that nothing can stop this mortal being, not Heaven or Hell. That the celestial war he has spent his entire immortal existence before becoming a human himself engaging in may have an end point. He may be more right than he knows. A Tinfoil Hat KYL takes established canon and plays the ‘what-if’ game with it — it is not to be mistaken for actual canonical lore. 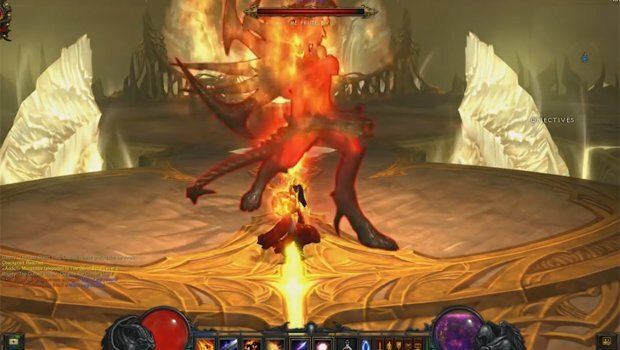 If we look back to the creation of Sanctuary we are given an idea of the origin of humanity, and how the nephalem who is the central figure of Diablo 3 comes to be — essentially all of humanity is born from the admixture of the angelic and the demonic. The angel Inarius and the demon Lilith were the parents of the first of the nephalem, as were their various followers — alone on Sanctuary the angels and demons intermingled and sired these titanic offspring, who held in their mixed blood the potential for good and evil and the free choice between. We remember how these first nephalem terrified their parents, who pleaded with Inarius to find a way to contain their burgeoning power before they drew the attention of Heaven or Hell (or both) to Sanctuary. How Lilith struck down her allies in order to preserve the nephalem for her own designs, and how Inarius banished her to the void. How he then used the Worldstone, the Eye of Anu that created Sanctuary in the first place to suppress the nephalem. This act created humanity, as the nephalem found themselves giving birth to mere mortals, lacking access to their forebear’s cosmic power. Clearly Lilith either suspected what would happen when angel and demon mixed, or she was a supreme opportunist, but either way we have to ask ourselves — why were the nephalem so terrifying to their parents? Why were they so certain that these beings would attract the attention of the hosts of Heaven and Hell? And why did Inarius use the Worldstone to prevent them from accessing their titanic power? Well, last question first — he used the Worldstone because only the Worldstone could do what he needed. He himself simply couldn’t — as an angel he lacked access to the complete power the nephalem wield. But the Worldstone is a relic of the time before creation — a pure piece of the entity that was Anu before Anu split into two beings, the diamond warrior Anu and the seven headed dragon Tathemet. The war of these two entities that ended the universe before creation and gave birth to Heaven and Hell, with Pandemonium spiraling out of the released energies of that battle between the good and evil parts of Anu — Pandemonium itself is a scar on existence at the point where the two beings did battle, and the Eye is the focal point where their conflict came to and end. When it was moved from Pandemonium Fortress, the armies of the angels and demons stood for a time in stunned disbelief, no longer able to imagine a purpose to their endless conflict — each side wanted to wrest permanent control over the Eye, and without it, they waged their war with diffidence until the discovery of Sanctuary and its mortal inhabitants. Why are human souls so tempting to the tempters? 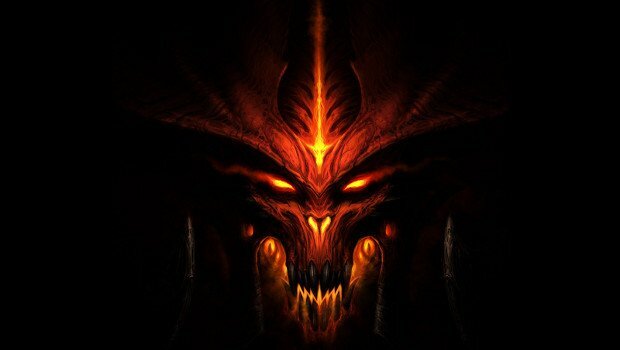 Why do demons seek to win them, why was it so important that the three Prime Evils deliberately engineered their own overthrow and banishment from Hell into Sanctuary? Remember, always remember that given the choice between ruling in the Burning Hells and being forced to endure on Sanctuary, they chose the latter. Why? Was it the same reason Lilith sought to create it in the first place, the reason she manipulated Inarius? At first it seems simple enough — the angels and demons are equally matched, as Anu and Tathemet were before them — just as the war between those two beings created the angels and demons in the first place, the war between Heaven and Hell wasn’t something anyone could win. All that could be achieved was a stalemate. But humanity, with its ability to procreate so quickly and choose between good and evil could become an endless supply of raw numbers to throw at Heaven, a way to tip the scales. Or so it seemed. But what if that wasn’t it at all? When Diablo engineered his freedom from the Soulstone, he used Aiden, a mortal, as his host body. When the Lord of Terror re-emerged following Tyrael’s crash-landing in the Cathedral outside Tristram, he did so using Aiden’s daughter Leah as a host body not just for himself, but for all seven of the Evils, Prime and Lesser alike. In that moment, Diablo was the recreation of Tathemet, the true and only Prime Evil, heir to half of the ancient Anu’s cosmic power. When the Worldstone was destroyed, its power to suppress the nephalem blood and its ancient power was lost. Indeed, the power of the Worldstone was released in a titanic explosion that destroyed Mount Arreat. Released into Sanctuary, the world humanity calls home, the world where they were sired by angels and demons so long ago. 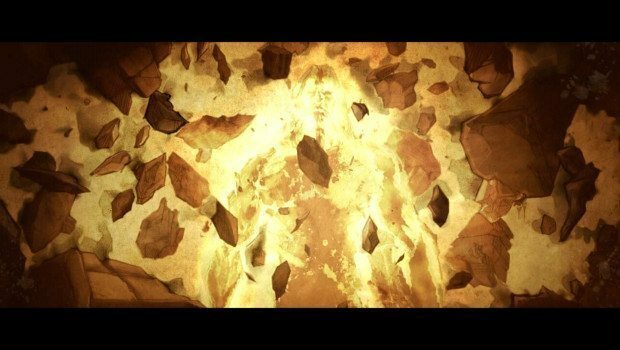 Think about this — Inarius used the Worldstone to contain the power of the ancient nephalem because only it could possibly do so, because it is the same power: the nephalem are heirs to the power of the creator god Anu itself, the being who existed before the split between good and evil. That being was unlike the angels and demons that were born from the wake of the destruction at the dawn of time in that it contained within itself both good and evil — both Anu and Tathemet were born from it, and so it contained the potential for either. From that moment until the creation of the nephalem, no beings in creation have contained these two aspects inside themselves. Angels may take actions that we define as cruel (Malthael comes to mind) but this comes from their long exposure to their enemy, and their endless war against them. Similarly, demons like Lilith might show a twisted form of compassion, but it’s still demonic — it still lacks a true understanding of what compassion actually is. Thus, their choices are almost meaningless. They do what they do without any real understanding of their opposites, without the ability to make a meaningful decision. Humanity, by virtue of its origin, can choose. And in choosing, it can touch the truth of Anu: creation requires the capacity to destroy. Good without evil isn’t truly good. And with the Worldstone destroyed, that pure power of world creation seeks hosts — and born from humanity the nephalem rises, a being that can be that host. It was always the same power — Inarius drew it forth like blood from a wound, and now it flows back. Heaven and Hell alike should be terrified of Sanctuary, and the mortals therein. Those that rise there are the true heirs to Anu, maker of all things, and in their blood lies the potential for ultimate good, or ultimate evil. Diablo’s possession of Leah’s body was ultimately a demotion — born human, she had the potential to transcend the Prime Evils themselves.